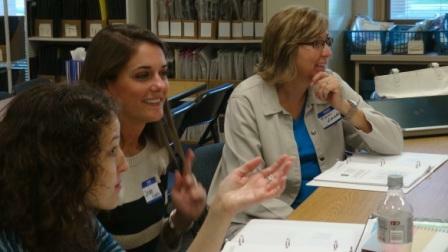 Guided Math Conferences are available across America. Our Guided Math Conferences or Professional Development workshop shares techniques, details, and dynamics of Guided Math with Angela Bauer. Everyone leaves with a handful of Engaged Math Activities, a variety of schedules to use, a complete understanding of how to set up and maintain guided groups in math, and knowledge of using data to drive the instruction of math. Guided Math is a framework of teaching students based on their needs. This guided math conference will show teachers how to plan for guided groups, to get students engaged with math activities, and to teach Common Core State Standards to mastery. To register, on the main page click on the city location at the top of the page. The link will take you to the registration page for that location. Or go to the Guided Math Event Registration Page. Email Angela to see when the next conference is being scheduled.